Famously in recent memory, former New Orleans Mayor C. Ray Nagin made the declaration in 2006, less than a year after Hurricane Katrina that New Orleans would still be a “chocolate city” to allay fears of New Orleans citizens displaced after the storm that white land grabbers and corporations were going to come in and take their property; also to flatly deny the idea that blacks were no longer welcome in New Orleans. It was a statement that most blacks could identify with across this country, but in the racially charged crucible that was the aftermath of Hurricane Katrina, in the larger context of dominant culture, he was charged with race baiting and being haunted with the phantom “reverse racism” ghost. Most blacks who have kept an eye on recent urban developments have become more than familiar with the phrase gentrification and most of us take that word to simply be code for “moving all the blacks out of the city.” Over the past 20 years at what was considered the nadir of urban living and urban decay, we’ve seen cities that had 60+% blacks begin to decrease grow closer to the fifty percent mark. Certainly in the case of New Orleans that had an African American population hovering around 67% has seen that number drop down to 59% after Katrina and seen a very slow march back to previous numbers. The same goes for other cities like Atlanta that had an African American population over 60% is now at 51% and for Washington, D.C. that used to have a black population as high as 70% in 1970 has now dropped to about 55% according to a 2007 survey. And certainly we’ve seen numbers of whites in Harlem increase from a paltry 0.6% in 1980 to numbers possibly as high as 10+% from recent estimates. So where are all of the blacks in the cities going? Well, many of the black middle class have headed out to the suburbs. While black city center numbers are plummeting, metropolitan numbers for these urban centers are staying the same if not growing. With suburban places such as Decatur and Lithonia and Prince George’s County being destinations for many blacks outside of major cities of Atlanta and Washington, D.C. respectively, its no wonder that urban black populations are plunging. This is happening in conjunction with former suburban whites moving back into the city centers now. Robert Taylor and Stateway Homes looking northward toward downtown Chicago. By the 1980s, the experiment of public housing “projects” had miserably failed and the vast majority of them had succumbed to benign neglect from state and municipal governments. Particularly in northern cities there were vast stretches of land that were city owned public housing. 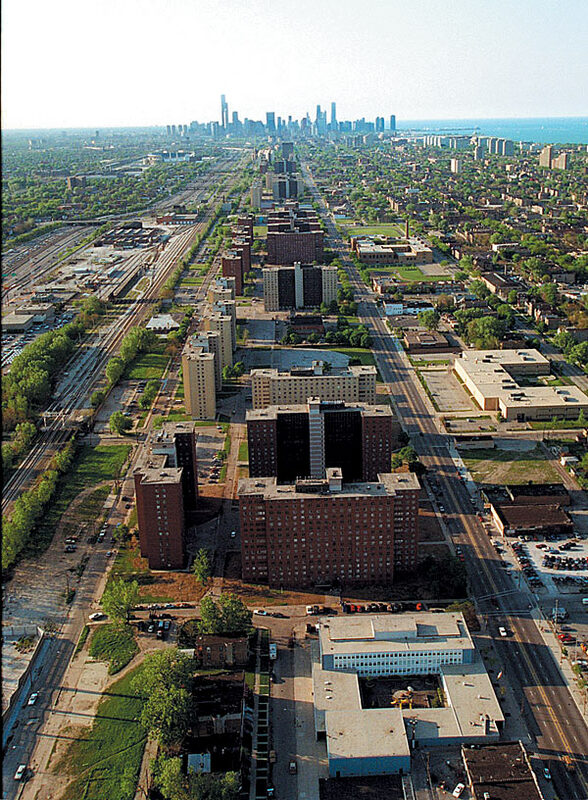 Case in point the two plus miles of projects in Chicago from 54th and State Street north to 22nd and State the majority of which were high rise buildings of Robert Taylor Homes, Stateway Gardens, Dearborn Homes, Ickes and Hilliard Homes. At the height, combined numbers were pushing 30,000 residents. Quickly over the years, along with Cabrini-Green homes on the near North side, these projects became the poster child for what had gone wrong with city government and provided the matrix out of which Ronald Reagan imaged his “welfare queen” or the portrait of Mary Jones in the movie “Precious.” These “‘hoods” stood as marked “savage inequalities” when it came to the basics with subpar education, dilapidated school buildings, rampant with crime, ineffective mail delivery and actual substandard living. So it seemed that everyone with money, black and white alike were fleeing the city if at all possible. By the mid 1990s, anyone with a keen eye could already see a shift in the urban landscape. Suddenly, abandoned buildings in northern cities that stood vacant for 30 years as ghostly reminders of coldwater flats were demolished. Now vast tracts of open undeveloped land dotted the urban landscape. Adjacent buildings that could be salvaged suddenly stood as a pock-marked testament to urban renewal. Also, by the mid-1990s cities started the slow process of emptying out housing developments and finally condemning the mostly vacant buildings and slowly demolishing them. Now as we enter the second decade of this new century and millennium we see areas that were upwards of 95% black and poor now more heavily populated by middle income individuals (mixed income) and more whites are moving into neighborhoods that used to be in the “black belts” in some of these neighborhoods. And with the new members of these former ‘hoods has come the amenities associated with middle to upper income enclaves including newer schools, supermarkets and other small eateries. Honestly, to see a Starbucks on the corner of 35th and State Street in Chicago still boggles my mind daily. Some blacks who do have some level of consciousness have begun to lament this process of whites moving back into the city and forcing the blacks out of their neighborhood. That sentiment is about where I want to delve into this issue. We moved out of the urban neighborhoods in which we were raised as a way to get away from the tragedy that surrounded us and the vast inequities that plagued our everyday lives. We were in search of better schools and a house to raise our families. We finally had some money and we were going to spend it. Unfortunately, we left many of our black brothers and sisters in the same grinding poverty in which we were trying to escape. And as it happened, we were running toward the suburbs to the same people who had tried to escape us 20-30 years earlier. The way I see it is that middle class blacks don’t want to recognize that we perpetuate a class prejudice while at the same time we become ignorant and blind to the racism that we experienced in those suburban neighborhoods. We failed to realize that by moving our money and our dollars to suburban enclaves and not spending them in the city that a) we were no longer patronizing the black owned businesses that we owned lock stock and barrel in the city limits and b) we were no longer supporting the city tax base that in turn supported those blacks that did benefit from government assistance. I think the big rub to blacks that ran out to the suburbs that now many of these suburbs are experiencing “white flight” back into the city centers and many of the solidly black middle class suburbs now face economic depression that they are ill-equipped to manage. It seems still that some whites, seemingly, don’t want to live next to blacks regardless of income level. However, all of the aforementioned is well and good, but lets be honest, middle class blacks are put in this unique position of having to choose between chasing this ephemeral American Dream while still trying to maintain this loyalty to blacks who don’t have the social upward mobility as the rest of us. But, paramount to me is this concept, or rather what is influencing this understanding of what it means to be black. 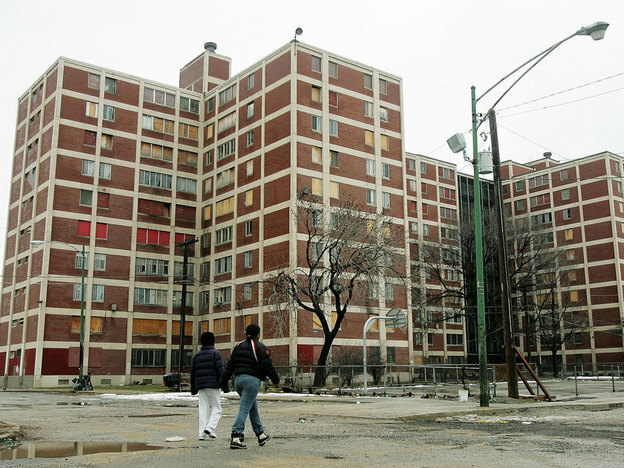 Tim Boyle/Getty Images The Chicago Housing Authority has been gradually moving residents out and tearing down the high rises at Cabrini-Green, seen here in 2005, and other public housing developments in the city. The move ends what many call a troubled era of public housing policy. Understandably this ghetto mentality was conceived out of a failed promise by this American government that failed to deliver on Special Field Order #15 that would have begun the process of giving newly freed slaves their 40 acres and a mule insofar as freed slaves would have owned their own land! Thanks to the Atlantic Slave Trade blacks, as descendants of African who were enslaved in the Americas, are unable to trace ancestral lineage much farther than 1850, give or take a few exceptions. In school when whites claim of their Sweedish or French or Polish ancestry and speak of trips back to their “mother country” and boast surnames like Fournier or Krakovsky, blacks speak of the ancestral homeland of Mississippi, Louisiana and Alabama holding surnames as titles to the names of our slave owners. And us northern blacks sometimes speak with a melancholy sweetness about our pilgrimages back down south with our fried chicken and potato salad lunches packed in greasy paper bags. Not having land, or having anything to lay a claim to has been at the crux of many of our problems in the black community irrespective of income status. Generational blacks raised in public housing have laid claim to the ‘hood as though they own it. 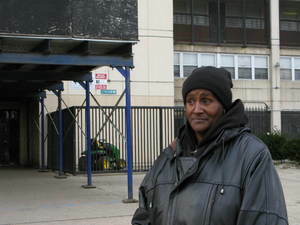 I watched with gut wrenching emotion as 54 year old Annie Ricks was the last person to move out of the Cabrini-Green high rises. She had raised her 13 children over the course of 21 years in Cabrini-Green which means she had lived through the shooting death of Dantrell Davis in 1992 and the brutal beating of Girl x in 1997. Chicago Housing Authority (CHA) is moving her into another facility on 35th and Wentworth called Wentworth Gardens on the South Side, a refurbished development that now has grass in the yards, repaved parking lots and totally redone units. But, both her and her son who was 21, in interviews from the press both expressed detectable sadness in moving from their home. It’s hard for many of us with middle class backgrounds to figure out how is it that someone would feel sorrow over leaving what many of us recognize as the symbol of everything that was wrong with urban planning and institutional racism. We don’t understand how is it that gang members and other people are ready to fight over neighborhoods where they are still renters; that people would spend more money on their cars and clothes than they would to save up to buy a house. As a result of slavery, failed reconstruction and the inability to properly move us from second class citizenship far too many blacks have attached themselves to the wrong things. So where does this leave our “chocolate cities”? It leaves blacks separated amongst ourselves if nothing else. Lower income blacks don’t identify with middle class blacks and even sometimes may question their blackness. In turn middle class blacks treat lower income blacks like something that belongs on the bottom of one’s show. However, I do lay blame some of this problem at the feet of the black middle class. We were the ones who had the disposable income to go to what black businesses we did have, but as soon as integration began in the 1960s we were the first one’s running to Mr. Charlie’s and it wasn’t like business was reciprocated. Middle class blacks had the ability to do better, but we didn’t. We succumbed to the capitalist ideals of this country and we began to look out for number one: I’ve got mine, now you get yours. We never turned around to give a hand up to those that we left in the city, but rather criticized and condemned them for asking for a hand out. No, this is not to allay the guilt from governmental institutions that were conscious about the disparities that were being wrought on the black and brown people of the inner cities, but still acknowledging that the black middle class had a sure hand in the creation of inner city black poverty. Equally so, many blacks who have watched the pattern of urban planning post WWII could easily point to the conspiracy theory that public housing was nothing but the governmental version of land grabbing. Many have suggested that the government was merely “holding” the land for such a time as this and that this was some grand 65 year plan that’s nearly coming into fruition. Particularly given this countries storied relationship between institutional racism and capitalism, that doesn’t sound too far off from a possible reality. Notwithstanding facts, lived reality and perceived conspiracy theories, how dare we, the black middle class mourn the loss of our “chocolate cities.” Trust me, I’m sure we are consoling our losses as we buy our grande mocha cappuccinos and pumpkin spice lattes from Starbucks; burying our heads and crying as we peruse the African American literature section in the newly opened Borders bookstore; and doing everything to hold our composure as we run to get lunch from the new Whole Foods that just opened up last month. In this failure we have failed to be our own brothers and sisters keepers. Blacks in this country have a consumer capital that is quickly approaching one trillion dollars per year. The problem is that that money is not a production or investment capital and we aren’t even spending 50¢ of every dollar in our community! No, I’m not calling for some black nationalistic state with it’s headquarters in Detroit. 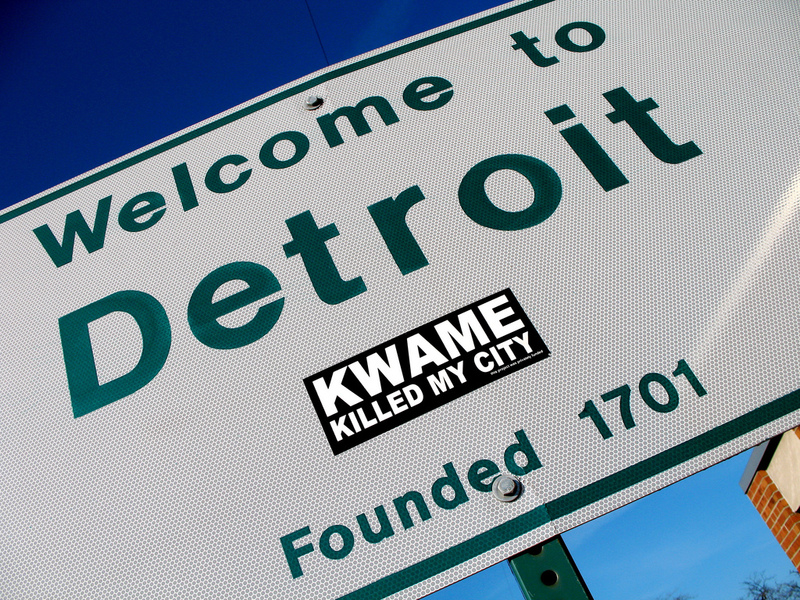 (Although, if that were to happen, I think Detroit with a 81% black population would be the place to do it.) But I certainly am saying that our inability to have an economic base as blacks is leading to our steady downfall. We’ll go to Mohammed and Ali on the corner of Madison and Pulaski or east 47th or 115th and Michigan to buy some Coogi or Rocawear just as easily as some of us will go downtown to the Coach store on Michigan Avenue or to Water Tower to go shopping at American Eagle or Abercrombie & Fitch and can’t go to the black owned grocery store in our own neighborhood to make groceries. Or even simply going to a black owned tax company to prepare our income taxes. Our failure to patronize our own economic and social infrastructures and resources have resulted in blacks being forced from city centers to the suburbs in the name of city gentrification for the benefit of the white aristocracy. Meanwhile blacks continue to be disenfranchised socially, economically and politically and we wonder about the price of soy milk and seitan. Seriously, we need to get a clue. Hopefully it starts with you. *Granted we’ve seen a marked resurgence of conservatism in recent years, but it is a brand of neo-conservatism that has been imaged heavily by persons of the Tea Party coming out of a new form of conservatism in post-Clintonian era. Similar issues with regards the black middle class in Africa – with certain differences though. Great observations, excellent post. Thanks for your cataloging our ongoing marginalization in urban areas. We should not be so easily comfortable in our middle-classedness. There is a lot of work for many of us to do for the artificially ghettoized who are trapped in generational poverty (many times by design). With our black flight to the suburbs (American Dream), again in many cases be buy homes that are nearing their useful life as be did in 50 years ago in urban neighborhoods. Note for the near future: Businesses and Corporate Headquarters that fled the central city areas will return to re-gentrified urban areas. They will be assured of having ‘qualified’ career motivated young people to fill vacant opportunities for professional growth. It’ll be as hard (and expensive) to commute to areas ‘downtown’ as it was trying to get to the suburban corporate headquarters when we lived in the city. But still we rise. It is what we do. With our relatively recent black flight to the suburbs (American Dream), again in many cases we buy older homes that are nearing the end of their useful lives as we did 50+ years ago in urban neighborhoods. Those urban areas lost city services (by design) and no longer thrived as ‘healthy’ desired communities. That’s a good post! Atlanta is the perfect example. Because of gentrification, the city’s white, affluent population (including gays) is on the rise at the expense of some of the historic black neighborhoods. 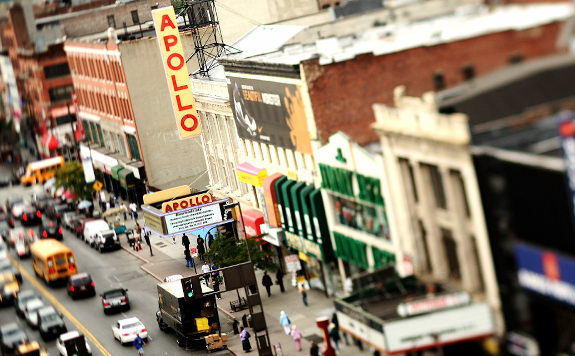 The city’s West End is a prime example. Have you read Disintegration by Eugene Robinson? That book discusses this very issue and the so-called splintering of black America. I just moved from Atlanta and I’ll still say the West End looks very much….um….West Endish lol. I still don’t see white folk traipsing up and down Lowery or MLK except when it’s a Falcon’s game or they’re looking for Busy Bee’s. Speaking of….I could def go for some Busy Bee’s right now. I can see your point. Speaking of Atlanta, did you hear about Ann’s Snack Bar? you really have done an excellent job with this. I think you’re on point. I know it’s not the point of your post, but I don’t understand your drawing a line between the backlash conservatism that supposedly peaked around 1990 (why that date, incidentally?) and the Tea Party phenomenon. I don’t believe there is a line at all. The Tea Party is little more than the latest manifestation of that by-now 40 year old backlash. The media is just so mesmerized by their fun little “grassroots rising up” narrative that they fail to point this out. I was giving a round date 1990 simply because Bush I was in office and clearly he was no Reagan which gave way for the liberalism of the Clinton years. And from what I can tell, when the conservative base was regathering their forces, by the time they reemerged under the Bush era it was a new beast that look different and felt different and this Tea Party phenomenon (which I think is an appropriate word) is new for this generation, but it hearkening back to something out of the Nixon playbook or even before that. I read the entire post but I don’t agree with main premise. The failure does not entirely fall on the middle class. Example: Do we, upper, middle, lower-middle and lower class support our hair industrry? Well according to Chris Rock’s Good Hair documentary no. From nails, pedicures to hair we’re not fully supporting our own businesses in the beauty industry. I really doubt this one example is sufficient but it does illustrate that in the lower class, supporting our own businesses is put into action. No matter what class, personal taste, aesthetics and needs dictate dictate where our dollars are spent. This could have been better written for something so important. Nothing turns an astute reader off than bad syntax. Inexcusable!